Plug-in electric car sales in Norway continue at just above 20% (21.03%) market share with 2,235 registrations in February 2015. Battery-only electric vehicles now account for 18% of all new-car sales. The over-all #1 best selling car in Norway for the second month running is the VW e-Golf with 839 units. Sales of the Volkswagen e-Golf in Feb were almost double the top selling fossil fuelled car, the Toyota RAV4 with 450 sales. The e-Golf accounts for almost 40% of all EV sales in Norway YTD (1,718) selling 3x more than second place Nissan Leaf (556) and 4x more than third placed Tesla Model S (392). The ICE powered Volkswagen Golf has been one of the best selling cars in Norway for many years but the e-Golf and GTE Plug-in variants now account for 70% of all Volkswagen sales in Norway. The Norwegian e-Golf sales success sends a clear signal to auto makers that non-quirky, conservative body styling can boost EV market share significantly. 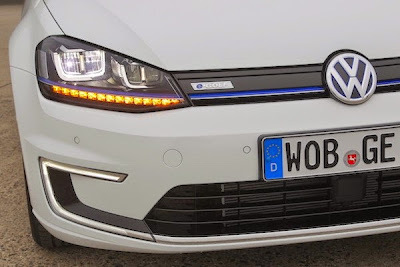 The word goes that VW e-golf battery pack withstands better cold weather conditions, has lower range loss, compared to other EV*s . True or not ?? ?